Prof. Dr. Bernd Marin, born in Vienna in 1948, is Director of the European Bureau for Policy Consulting and Social Research in Vienna. From 2015 to 2016 he was Director („Rektor“) of the US-American Webster Vienna Private University. From 1988 to 2015 he has been Executive Director of the European Centre for Social Welfare Policy and Research, a social science think tank affiliated to the United Nations in Vienna (ECV). From 1984 to 1988 he was Professor of Comparative Political and Social Research at the European University Institute (EUI), the EU University in Florence, where he was also Head of the Department of Political and Social Sciences (1986 – 1987). After studies of social sciences at the University of Vienna and a post-graduate training at the Institute for Advanced Studies in Vienna, he became Research Fellow and later Deputy Director of the Institute for Conflict Research in Vienna from 1975 to 1984. In this period he also carried-out post-doctoral research at Harvard University (1978/79), completed his Habilitation in Linz (1981), held visiting lectures across Europe, including a visiting professorship at Warsaw University (Fall 1981). Since 1972 he taught sociology, political science, government and socio-economics in various Austrian universities (University of Vienna, Vienna University of Economics and Business (WU), and the universities in Linz and Innsbruck). Since 1981, Prof. Marin lectured in universities in Europe and overseas, i.a. Harvard, M.I.T, Columbia, New York University (NYU), New School of Social Research, New York, City University of New York (CUNY), Cornell University, Berkeley, University of California Los Angeles (UCLA), Montréal, Budapest, Moscow, Roskilde, Barcelona, Amsterdam, Kent, Bielefeld, Paris (Institut d’Études Politiques, Sciences Po) and Tokyo, and was Visiting Professor in Zürich, Warsaw, Florence, and Innsbruck. More recently, he was Profesor Visitante por el Instituto Universitario de Ciencias de la Salud, Fundación H.A. Barceló, Faculdad de Medicina, Buenos Aires (2010), Visiting Professor of Social Policy at the European Forum (jointly run by the Social Sciences, Humanities and Law Faculties) of the Hebrew University in Jerusalem (2011) and Lecturer at the MCTC of Mashav in Haifa (2012), Visiting Professor at the Universidad Complutense in Madrid (2013), at the Institute of European Studies of the Chinese Academy of Social Sciences (CASS) in Beijing (2013), at the University of Southampton (2014), at the ESRC Research Methods Festival at Oxford University (2014), Director (Rektor) of the Webster Vienna Private University (2015/2016), and Visiting Professor at the Columbia University, New York (March/April 2017). He also worked with and lectured in research centres outside universities, among others at Tavistock Institute London, LABOS Rome, SISWO Amsterdam, NIZW Utrecht, STAKES Helsinki, IMSERSO Madrid, IIASA Laxenburg, IWM, Vienna, the Institute for Advanced Studies (IHS), Vienna, at the Management Institute of the Wissen-schaftszentrum für Sozialforschung (WZB), Berlin, at the Max-Planck Institut für Sozialwissenschaften (Starnberg) and the Max-Planck Institut für Gesellschaftsforschung (MPIG, Cologne), at the Deutsche Zentrum für Alters-fragen (DZA) Berlin, at the L’École Nationale d’Administration (ENA), the Centre de Sociologie des Organisations (C.S.O./CNRS) and at the Maison de Sciences de l’Homme, all Paris. Prof. Marin has served as an expert and policy advisor to various governments, international, inter-governmental and non-governmental organizations, to business and management, to voluntary and interest organizations, chambers of commerce and trade unions, and has been co-operating with institutions such as The World Bank, OECD, WHO, ILO, ISSA, the Commission of the European Communities, the Council of Europe, EBRD, ISSC, ICSW, etc. He was responsible for the scientific background report (Welfare in a Civil Society) to the All-European Conference of Ministers Responsible for Social Affairs in Bratislava in 1993, involved in the preparation of the World Summit for Social Development (WSSD) in Copenhagen 1995, and the WSSD follow-up on a European Regional level Innovative Employment Initiatives in 1998 in Vienna. Since 2001, he served as a rapporteur in preparing the Madrid International Plan of Action on Ageing (MIPAA) for the Second World Assembly on Ageing (WAA-II, Madrid 2002) and its UN-European Regional Implementation Strategy (RIS) at the UNECE Ministerial Conferences on Ageing (MiCA) Berlin 2002, León 2007 and Vienna 2012. Since 2004 he guided the RIS monitoring process Mainstreaming Ageing: Indicators to Monitor Implementation (MA:IMI) together with the UN Economic Commission for Europe (UN-ECE), within the framework of a Memorandum of Understanding till 2014. In the context of the International Year of Active Ageing and Intergenerational Solidarity 2012, the Active Ageing Index (AAI) was developed on behalf of the EU Commission and UNECE by the European Centre and continuously elaborated since. 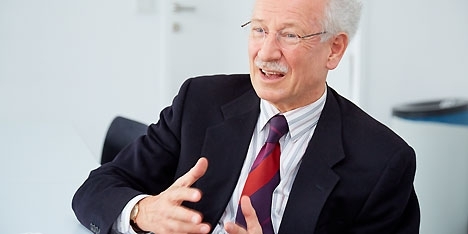 Prof. Marin was member of pension reform commissions in Austria, in 2009 Founding Member, Member of the Executive Board (2009-2013) and Member at the Scientific Advisory Board (since 2013) of the Austrian Interdisciplinary Platform on Ageing (ÖPIA), 2010 to 2015 Head of the Advisory Council of SeneCura, 2012-2015 Member of the Commission on Finance and Global Economic Development at the Austrian Academy of Sciences, since 2013 he is a Member of the UNECE Task Force on Ageing-related Statistics of the Conference of European Statisticians (CES). Between 2012 and 2016 he advised and provided expertise, among others, to governments and public administrations in Sweden, the Ukraine, Spain, Slovenia, South Korea and Germany. To German authorities, for instance, he recently advised both on pensions and the Active Ageing Index (November 2016, Bundesministerium für Familie, Senioren, Frauen und Jugend, Berlin, Runder Tisch „AktivesAltern – Übergänge gestalten“, Arbeitsgruppe „Active Ageing Index“). He is a member of the scientific expert circle (Wissenschaftliches Gutachtergremium und Beraterkreis) for the Fifth Report on Poverty and Wealth (Fünfter Armuts- und Reichtumsbericht /5.ARB) from 2014 to 2017, to be debated in cabinet by the German Government in March 2017. Since 2015, he coordinates the Social Inclusion Monitoring (SIM) Europe Reform Barometer project of the Bertelsmann Stiftung, which is carried out together with Christian Keuschnigg from the University St. Gallen. Prof. Marin is a comparative social scientist working on the transformations of modern welfare societies and social security systems and their sustainability, more recently on innovative employment initiatives, health, care and disability policies, mainstreaming ageing into economic and social policies, and pension reforms. Apart from pension schemes, he empirically analysed knowledge production and economic policy-making, interest organizations, business associations and industrial labour relations. Regarding the future of work and social policies, he focused on changes and innovations in labour markets and social insurance / protection, in operating and working times, job-creation, flexible lifetiming, and their implications for inter-generational and gender relations. In social theory, he worked on (corporate, intermediary and societal) governance, systems of self-regulation, co-operative change management, policy networks, generalized political exchange, and on optimizing the welfare-mix and societal activation as prerequesites of sustainable wealth, health, welfare and well-being. He communicates in German, English, French and Italian.